Chit Lom BTS Station is your gateway to one of Bangkok’s most vibrant shopping districts – Ratchaprasong – where high-street fashion meets sophisticated urban lifestyles. 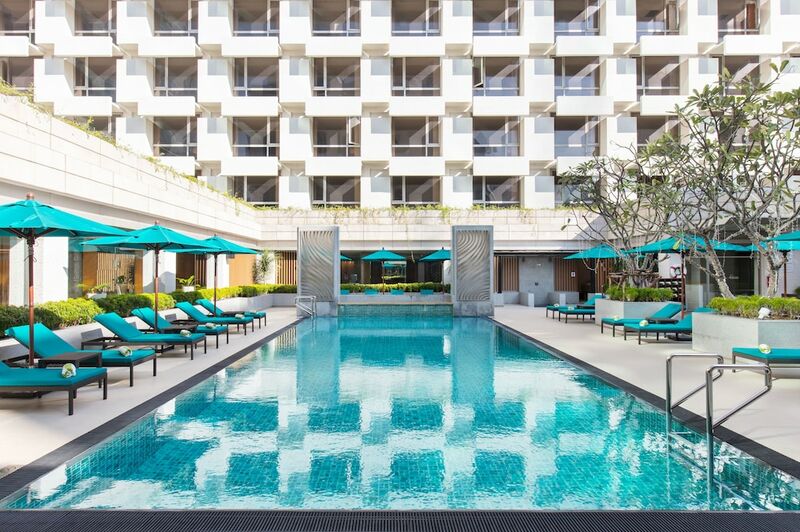 From here, you are steps away from Lang Suan, famous for its fine dining and glitzy nightlife scene. Among the long list of shopping options includes Central World, Central Chid Lom, Central Embassy, Gaysorn and Amarin Plaza; all of which are accessible from the BTS station. These malls also provide great dining opportunities, such as Groove at Central World, Eat Thai at Central Embassy and Central Food Loft at Central Chidlom. This area is a particularly popular spot for four and five star hotels too, and you can scroll down to see the best.